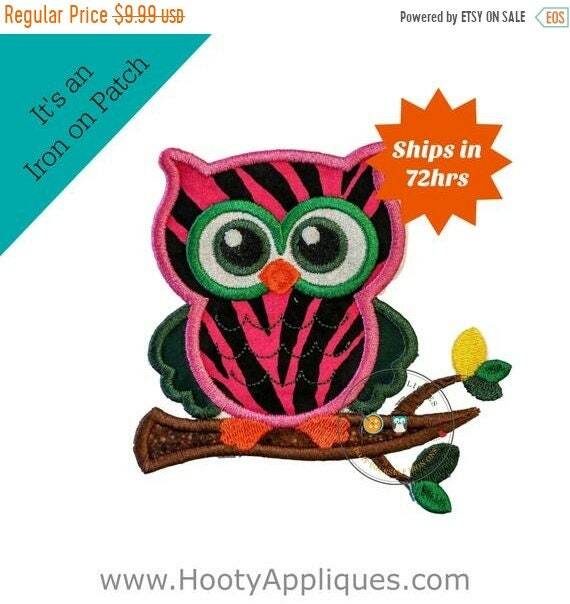 Cute, summer, zebra-striped, whimsical owl iron on applique. 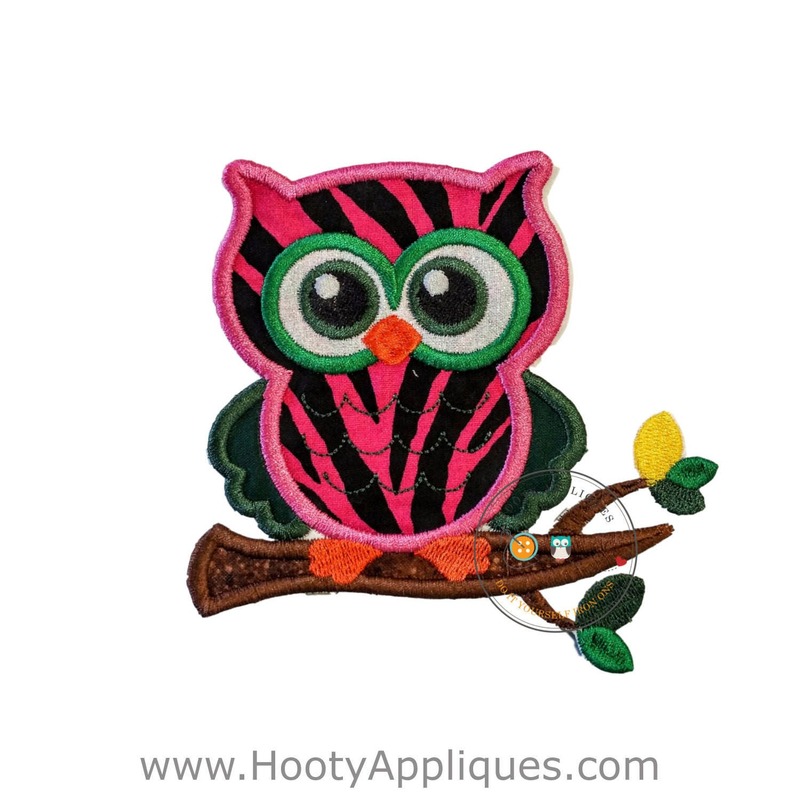 This owl is done in hot pink zebra printed fabric and trimmed in dark pink embroidery thread. He features large, dark green wings and eyes. It has an orange beak and feet perched on brown branch embellished with yellow, light and dark green leaves. This would be great on a summer t-shirt, backpack, jeans, or jacket. ►	This iron on patch measures 4.25 inches wide by 5 inches tall.